This shot was taken at the Clarkson GO Train Station in Mississauga. And this is where we learned about the transport system here. Am i glad i brought my camera with me. I always try to bring my camera with me though wherever i go because you just don't know what awaits you. Your perfect shot may come in a very unusual place or situation. 1. TTC or the Toronto Transit Commission commonly known as the Subway. This will only get you around Toronto. 2. Streetcar is only within downtown Toronto. I found it quite strange actually to see a train (i have to call it a train, anything that runs on rails is a train for me) on the road where cars and all public utility vehicles are using it as well. 3. 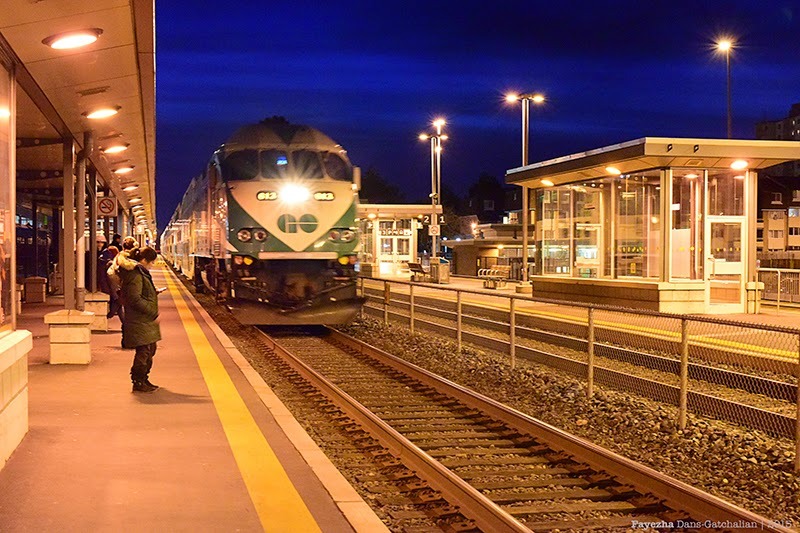 GO Train is Ontario's Inter-Regional Transit system. This is only within the province of Ontario. 4. VIA Rail Train will get you across Canada. From Toronto to Vancouver or Montreal. This is the train for you. You can use the same ticket for your TTC and Streetcar. But you have to separately purchase for your GO Train and/or VIA Rail Train. Do note that Go Train is more expensive, obviously because you're travelling farther.